Universal Pictures Home Entertainment has announced a May 23, 2017 release date for the thriller, Get Out. The Blu-ray will come with a 7.1 DTS-HD Master Audio track while the DVD will have the usual Dolby Digital 5.1 audio mix. 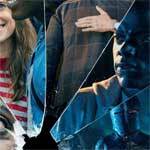 Synopsis: Now that Chris (Daniel Kaluuya), a young African-American man, and his girlfriend, Rose (Allison Williams), a young white woman, have been dating for several months, she invites him for a weekend getaway upstate at her family’s upstate home with parents Missy (Catherine Keener) and Dean (Bradley Whitford). At first, Chris reads the family’s overly accommodating behavior as nervous attempts to deal with their daughter’s interracial relationship, but as the weekend progresses, a series of increasingly disturbing discoveries lead him to a truth that he could have never imagined.